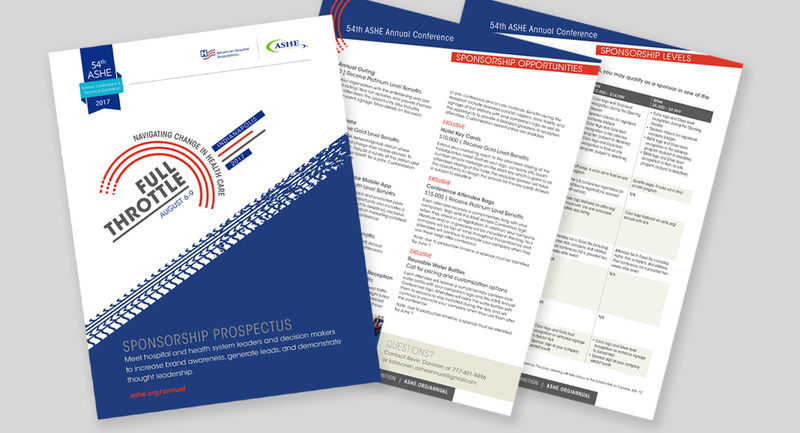 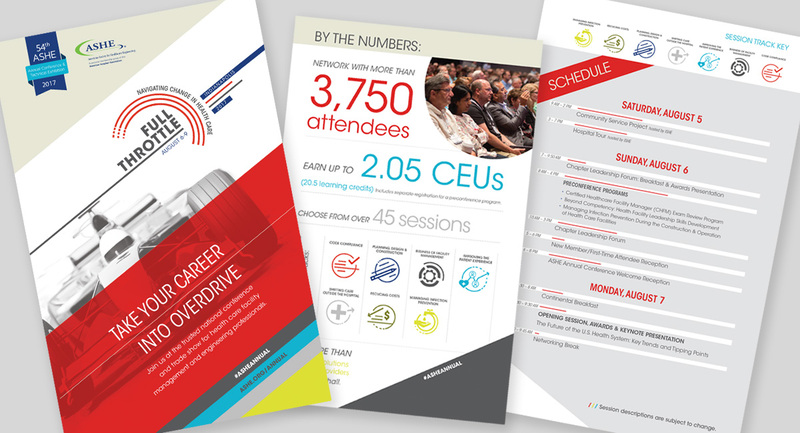 The American Society for Healthcare Engineering (ASHE) approached us to create the branding and visual identity for their 2017 Annual Conference and Technical Exhibition in Indianapolis. 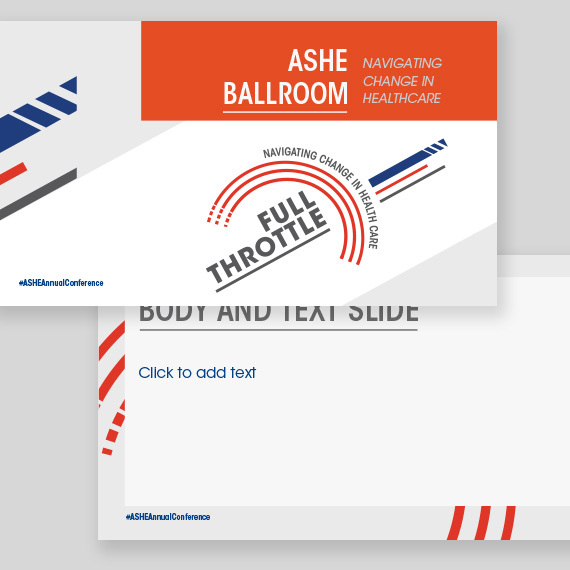 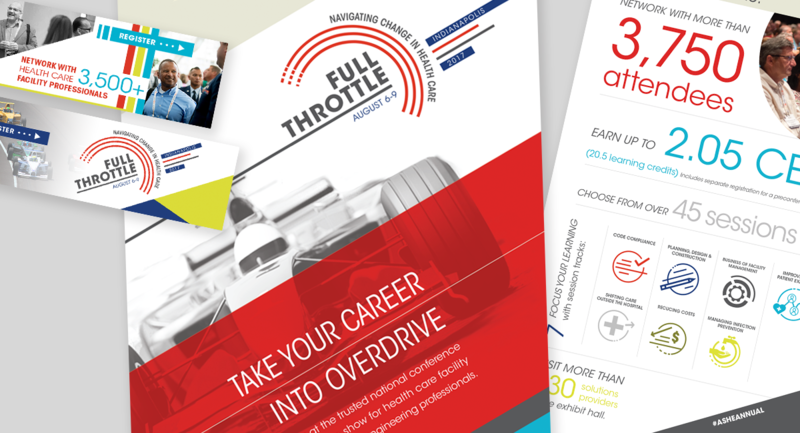 In the spirit of this year’s theme, “Full Throttle,” we created a dynamic racing look inspired by vintage European racing posters from the 1960’s/70s, which we are carrying through all printed materials, which include promotional mailers, conference guide book, PowerPoint templates for speakers, website graphics, and more. 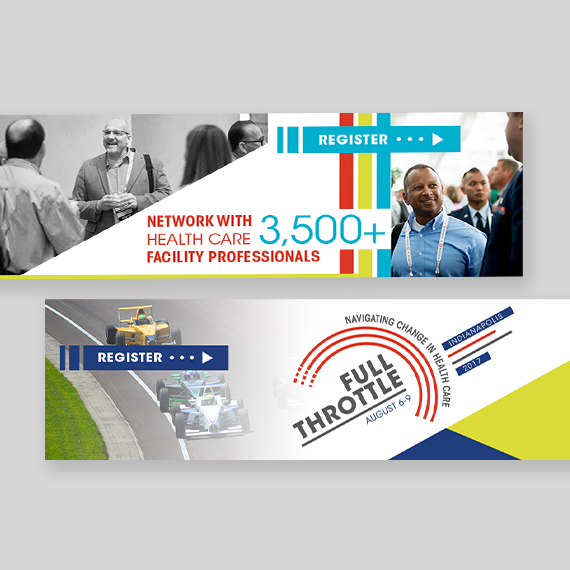 This project is currently in development—stay tuned for more!